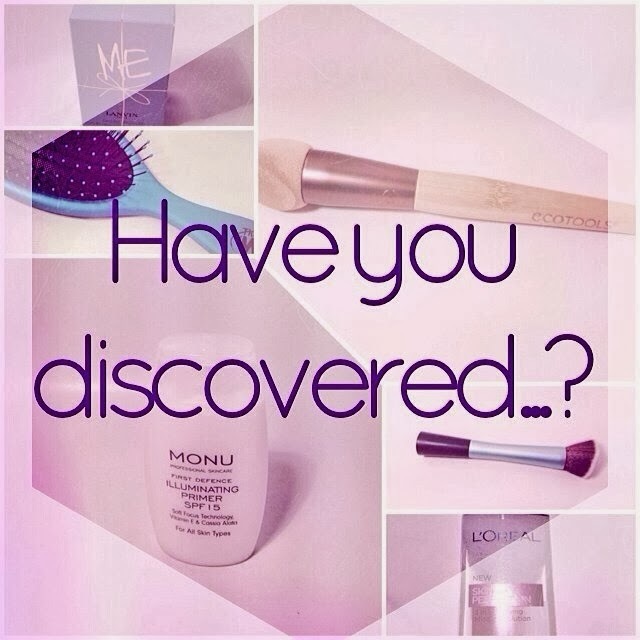 You might have noticed, that I missed out on posting the last two sundays in the Have You Discovered…? series. Did you miss me? haha And there's a simple reason for this: I didn't have any products to mention! I don't use any highlighter at all and since I just recently did a blog post on my new favourite eyebrow tool - read about it here - I figured that I wouldn't post anything. But I'm back again and the theme this week is "Eyeshadow / Palette". 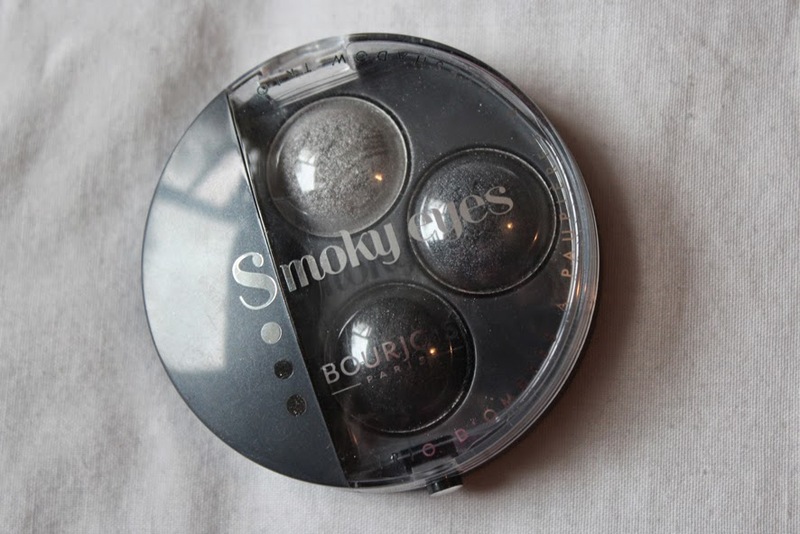 The product I chose is the Bourjois Smokey Eyes EyeShadow Trio. I received this, alongside some other Bourjois products, as a christmas present from a close friend. Which was great timing as I used it for my New Years Eve make up look and also other clubbing looks! I haven't used it in quite a while now but I rediscovered it in my make up drawer when looking for something to blog about today! As you can see the trio comes in a little grey plastic palette which is quite compact. It also comes with a little applicator which I haven't used at all. 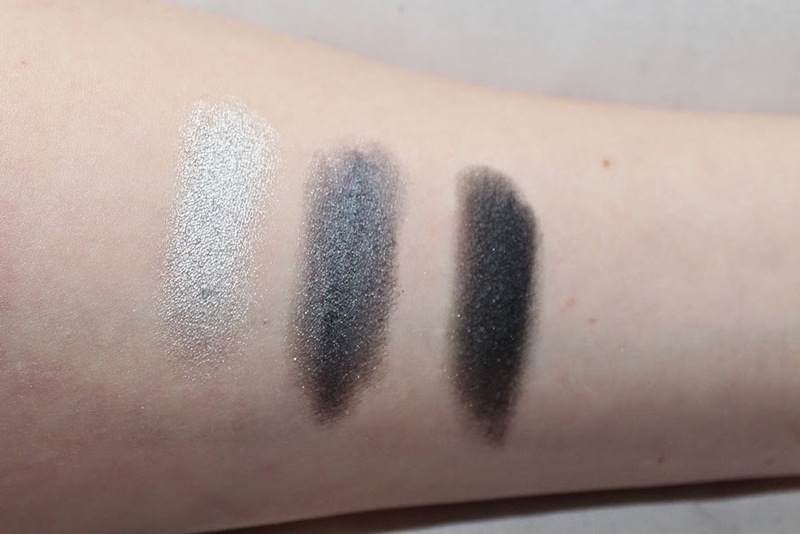 The trio contains a light silver shade, a medium grey shade and a dark grey/blackish shade. 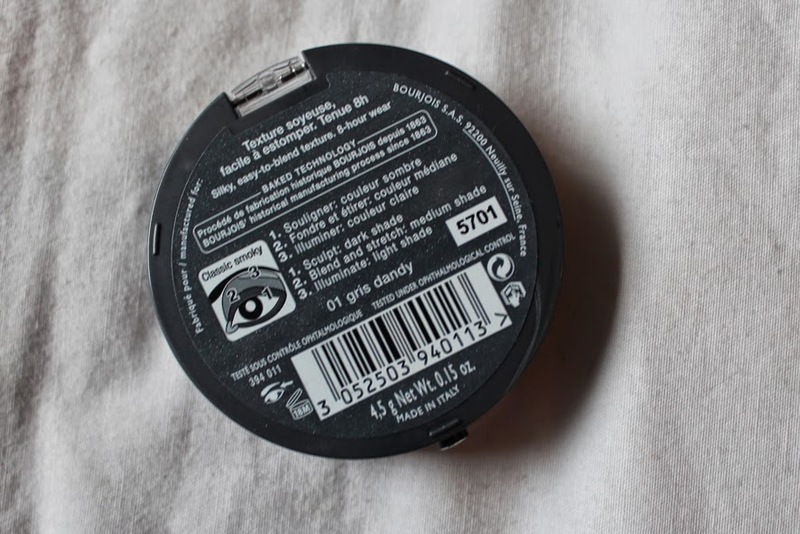 The back of the product also gives you a little instruction on how to do a classic smoky eye. All of these eyeshadows blend very well. And especially the two darker shades are highly pigmented. I really like their formular as it's nice and creamy - I don't have any eyeshadow similar to this. But I have to say that they do contain a bit of shimmer, which I quite like, but if you don't, I'd recommend to stay away from this trio. They also have a nice staying power - apparently up to 8 hours-wear! 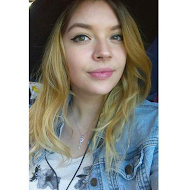 I haven't really experienced any big fall-outs when putting it on, which is a plus from me - I hate fixing my under-eye-area after eyeshadow fall-out! 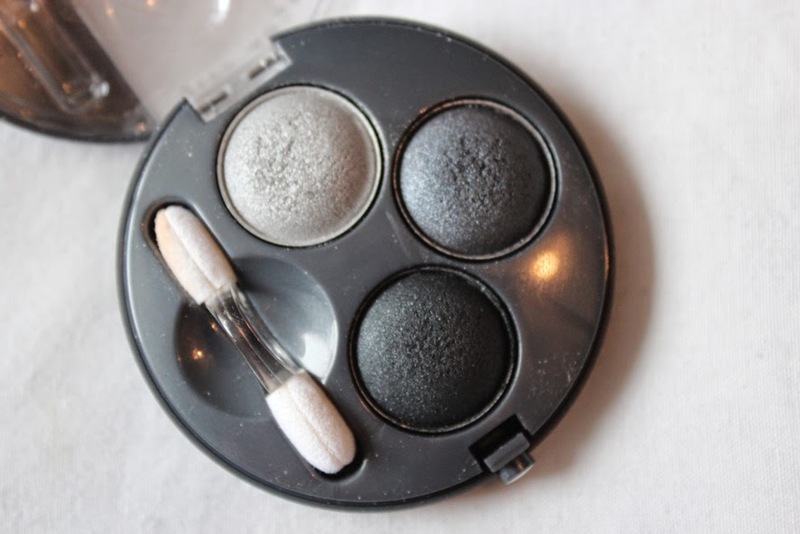 So if you are looking for a product to create an easy and great looking Smokey Eye this is right for you! I'm definitely going to use it more often now that I found it again as it's such a great compact trio. Also it's on offer for £5,99 at Boots right now so if you want to try it yourself, you can get it here! I hope you enjoyed reading this post and are having a lovely sunday evening! I'm going to spend mine outside in the lovely weather we are currently having! Oh no! Do you have any other stores that sell Bourjois products?